What is bone marrow adiposity? The bone marrow in adults consists mostly of fat and there is a direct relationship between marrow fat and occurrence of bone fractures or osteoporosis. Bone marrow fat cells, or adipocytes, have also been shown to have endocrine functions that might influence systemic metabolic homeostasis. Preventing the formation of adipocytes in the bone marrow can accelerate blood production, which could be of help to patients recovering from chemotherapy. 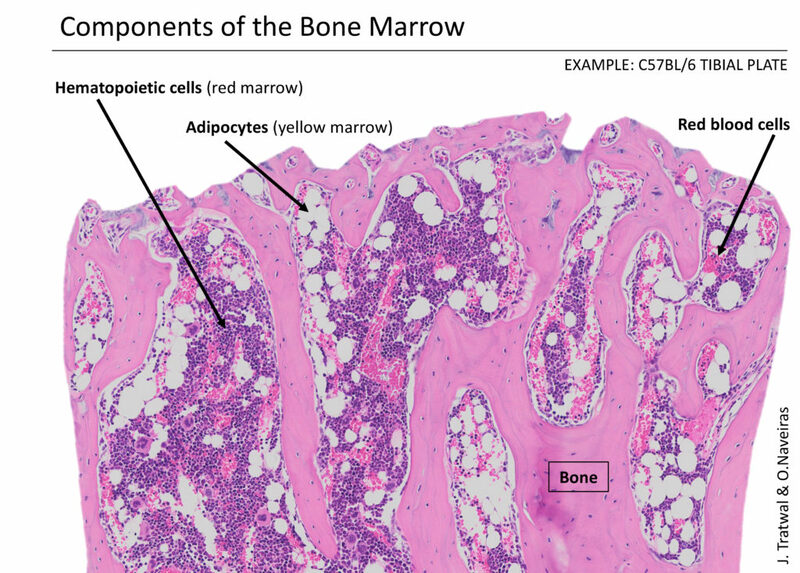 Bone marrow adipocytes are gaining increasing attention as a therapeutic target, however much remains to be discovered in order to harness their potential in metabolic, cancer, or regenerative therapies.